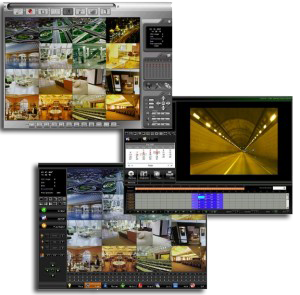 Interstate Cash Register offers a full range of camera systems including home security cameras and camera systems for commercial and industrial facilities such as stores, restaurants, manufacturing plants and warehouses. Today’s digital video recorder (DVR) systems give you 24/7 coverage without tape swapping and storage, and you can store more than 365 days of multiple camera video and audio. Interstate Cash Register offers retail surveillance cameras with point of sale integration video systems that match transaction records to video and audio recordings. 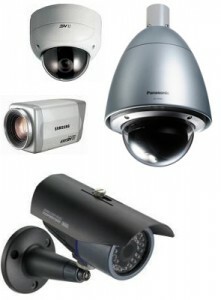 The camera systems we offer include systems that enable managers or owners to review both recorded and live video and audio remotely through any internet connection. In addition to using cameras for surveillance and security, merchants can also use cameras during employee training. Interstate Cash Register also provides surveillance camera installation and is certified and licensed by North Carolina. We also back the systems we sell with maintenance and service offerings. Scroll down to see a number of the point of sale cash registers we carry.